Being thrifty doesn’t have to mean washing your taps with leftover lemons or cleaning windows with old newspaper – this isn’t the 1950s. But if your resolution is to be thriftier, there are still many, many ways to spend less without asking your grandparents for help. Here are a few tips for a thriftier 2017 so you can keep more money in your own pocket. One of the most obvious places UK homes waste money is in the kitchen. The campaign Love Food, Hate Waste estimates that the average household throws out £480 of edible food a year, rising to £700 for a family with children. That’s £60 a month wasted, not to mention the environmental cost. And it is so easy to get the waste under control. Websites like Love Food, Hate Waste have tips and recipe ideas for leftovers, but perhaps the simplest way to save money on food is to make a weekly food plan. By planning meals in advance you can ensure nothing is wasted, that meals come in on budget and that all leftovers are eaten up. The NHS Change 4 Life website has an excellent recipe generator, offering meals that feed four and cost around a fiver. You can use it to create a meal plan for each week and it even draws up a shopping list for you. Best of all, cutting back on more regular supermarket trips limits the risk you’ll spend extra on impulse buys. If you buy premium, big-brand food or household items then consider moving down a ‘grade’, so from big brands to supermarket own-brand, or from own-brand to the economy range. Doing so can easily cut pounds and pounds from your weekly shopping bill and you are likely to find that with a lot of products you hardly notice the difference. And if the odd item isn’t as good as the premium range then you can buy the original – but for fruit and veg, cereals, cleaning products and more you will probably find you don’t even notice the exchange. This works on everything from hair products to toilet roll; try a cheaper brand and if you like it then you save a fortune over the year. If you make 2017 the year you really clamp down on wasted energy, then you can save a lot of money. It’s not just switching off lights when you’re out of the room, or even wearing an extra jumper instead of cranking up the heating; the Energy Saving Trust has a wealth of really practical tips. Draught-proofing windows and doors can save almost £30 a year, for example, but 46 per cent of households haven’t done it. Replacing halogen spotlights and any standard bulbs with energy savers such as LEDs can save £35 a year, while turning appliances off instead of leaving on standby can save a good £30 a year. These small savings all add up and you can also typically save around £300 by switching to a cheaper energy supplier, meaning it’s possible to really bring down bills. Wasted water wastes your money twice, both with what you pay for your metered water and what you pay to heat that water. If you become more conscious of the water you use and waste, you could pay much less in 2017. For example, spending one minute less in the shower each day can save £10 off energy bills and a further £12 off water and sewerage bills. Try the website Save Water Save Money for free water-saving freebies such as shower timers. While you’re switching to a cheaper energy provider it’s well worth setting aside an extra hour or so to compare prices on other household bills and ring round suppliers. Many will lower your premium or bill if you threaten to leave, while switching can save hundreds of pounds. While you’re comparing household bills and driving a harder bargain, you could also take a look at your shopping basket. The website MySupermarket lets users enter their shopping basket and then compare that basket to other supermarkets, including Tesco, ASDA, Ocado, Waitrose, Sainsbury’s and more. 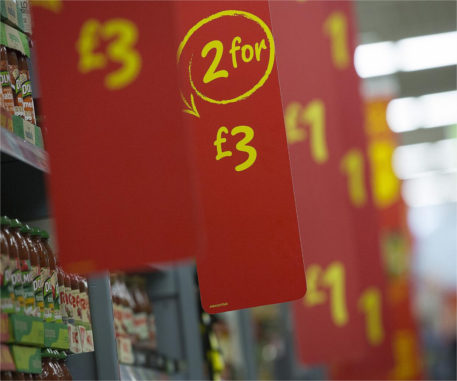 Shoppers save an average of 30 per cent on their basket by ordering it from a cheaper supermarket and it lets you see clearly which has the best prices for the items you buy. If you spend £80 a week on shopping then that’s an average saving of £24 – or well over £1,200 a year. A lot of employers offer their staff perks that many don’t know about or take up. You may be able to get free or subsidised eye care, for example, if you work with a computer, or you may have access to a legal helpline for any personal questions. If you receive death in service benefit, then you obviously hope that won’t have to pay out! However, it’s worth checking as you could potentially reduce your life insurance costs if your work provides enough. You may also be eligible for salary sacrifice schemes such as childcare vouchers or even the Bike to Work scheme, where you can pay for childcare or a bicycle out of your pre-tax income, saving you a lot of money. Staycations and camping are well known ways to have a cheap break, but not everyone feels like they’ve had a rest unless they soak up some sun and sleep under an actual roof. If you are looking for a thrifty alternative to that all-inclusive break in Spain then consider LoveHomeSwap, where you exchange properties with another household for your break. LoveHomeSwap reports that members can save as much as 90 per cent on the cost of their accommodation. If you live somewhere attractive like a popular city or near a national park, you will likely have your pick of thousands of homes across the world, but even if you don’t live on top of a tourist attraction you can still usually find a swapper. Another option is AirBnB, allowing you to rent a cheaper space for your break and see your destination from an actual home rather than a touristy hotel. One good tip for hiring the best locations is to team up with friends; there are mansions with pools available for a very good price per person if you get a group together.